The practice of guest posting—writing articles for other people’s blogs—has become one of the most frequently recommended methods of bringing new readers to your own blog or website. Bloggers have written lots of articles about guest blogging and there are even books for sale about guest blogging. Why? It works for the guest, for the blogger and for the readers. I’ve been able to share with you articles by novelist Will Entrekin, self-publisher Michael N. Marcus, blogger Joanna Penn, author Susan Daffron, author mentor Laura Cross, and many others. It works for readers, because these articles bring different perspectives to the blog, offer expertise in areas I’m not that familiar with, and add variety. It works for the blogger, because it gives me a day off, and a chance to write for other venues. It works for the guest, since some people who respond to their writing will follow them to learn more. Original content only. This is part of my basic commitment to you. I don’t reprint articles from directories, from bloggers’ archives, or from other sources. You might find an article somewhere else that first appeared on this blog, but it has to be original to be considered. Authentic voice. I get a lot of articles submitted that are obviously turned out as production content. They have a bit of information in them, but are flat and uninteresting to read. You have to be engaged with the content to come across as authentic. On topic. Articles that are on topic deal with writing, publishing and marketing books, with typography and book design, and with personal experiences doing one of these things. Relevant backlink. Yes, I will go and look at the site you want to link to from your post. That’s another commitment I make to you. Even if the article is on topic, if it’s leading you to a site selling Florida vacation homes or online degrees, it gets bounced. Only two backlinks. You want to convince people you’re worth reading, not plant 10 links in your article all leading back to your blog. Only 2 “self-serving” backlinks, and one of those should be in your bio. Links to resources that amplify the article are fine. 30 day exclusive. Goes with original content. Please allow your article to remain in place here for 30 days before reposting it elsewhere. It’s your article since you wrote it, but respect your host. Answer comments. If you open a discussion, hang around and take care of your guests. Appropriate length. This is the most common question I get from guest bloggers, and here’s my answer: my articles run from 800 to 1200 words, which is long for most bloggers. Guest blogs should be 500 words to whatever it takes. If you can keep it interesting and informative, go for it. Resources. I’m partial to articles that give readers resources to pursue on their own. Take the time to treat your readers right. Make an approach. It’s easier to say yes to someone who suggests topics than it is to someone who asks “What should I write about?” Does that make sense? Format. Lots of bloggers like posts as attachments in Word. Since I work in the HTML window of the WordPress interface, I would prefer plain text. Provide the full URL of anything you want to link to, and if you can put in formatting codes then by all means do it. Break it up. It’s more interesting to read articles that are punctuated by lists, bullets, block quotes and subheads. Use them. Put yourself out there. There’s something that makes writing compelling, that draws readers to your work: it’s when you put yourself into your article. Make us feel what you felt, tell a story from your experience, be honest about things you did that didn’t work out. However you do it, find a way to make it personal and authentic and you’ll be a success. As part of my launch for A Self-Publisher’s Companion, I’m also guest posting on a number of blogs starting next week. If you have a blog where writers congregate, would you like an article written specifically for your blog? I want to write for you! I’d like to hear from you, since many readers here are writers, too. Do you want to guest post here? Got something you want to say? Let me know. I am planning to write a blog post about my experiences during the past six months during which I had both a publisher and an agent, parted ways with both, and decided to self-publish. The highs and lows of going through that process were excruciating. Fear and doubt made the months of August and September a trying ordeal. Now I am less than four weeks away from my book launch and feeling confident that I made the right decision. Would you be interested in this as a guest post. If so, is there an issue with me posting it on my own page? What a lovely offer! I would’ve commented sooner, but just minutes after this popped up on Twitter, I got a DM from someone else…asking me to guest blog. Obviously, great minds think alike! I’m getting ready for a trip to NYC, but will put this in my “to-do-now-and-not-later” pile. Great post. Disturbing that some of it needed to be said but there you go, it does. I would love a guest post from you for Taleist. And I will give some thought to what I could suggest to you for your blog. I have some thoughts and will send them to you. That would be great Steven, I’d love to have you as a guest here. And in a few weeks I’d like to also reciprocate. What fun! Lots of bloggers like posts as attachments in Word. Since I work in the HTML window of the WordPress interface, I would prefer plain text. Provide the full URL of anything you want to link to, and if you can put in formatting codes then by all means do it. I don’t know what “plain text” is or how to do it. Susan I’m sure many readers would be interested in your publishing experiences. Let me know what you have in mind, and don’t worry about the plain text, you can submit a Word file with no problem. Thanks Joel. I would discuss print-on-demand versus traditional printing. Sorry for the delay. I have finally finished the post. Where do I send it? Hi Susan, that’s great. Send it to jfbookman (at) gmail.com. A good post – I wish I’d had something in place for my guest posters about staying around for the discussion, as I have one I’m about to have to take down from my blog, as it contains a possible error which the author is not coming back to me about! I’d love to have a guest post from you on my blog! It’s quite a varied one, on language, writing and running a small business, but I have had posts from writers in the past and know that quite a few writers read the blog. I’d also be glad to submit a guest post to you. I’m an editor, of full-length fiction and non-fiction books and academic work, etc. I’d be very happy to submit something on editing – I’ve worked with some first-time novelists as well as more established writers, and can put something together for you if you’d like me to. That would be lovely Liz, why don’t you send me some ideas you have of what you would like to write about? I’ll be freeing up time for more guest posting next month, so I’ll be in touch about contributing to your blog as well. Thank you for the invitation to be a guest columnist on your Blog. Let’s rock and roll. Terrific, thanks Lin. We could really use some of your PR savvy, I know readers would appreciate it. Book Cover Design 101? Mainly what not to do, like Comic Sans, script font all caps, etc. Derek, that’s always a good topic. Rather than a set of rules, I find I’m more interested in your actual experience or examples of things that work and things that don’t, and why that is. Think about it. Well, I’ve done just about everything beside book covers so I don’t have a book full of them. How about “here’s how I would do it” approach with before and after, demonstrating simple little techniques that can make a big difference. Basically take existing cover designs and mock it up with those adjustments that seem subtle but have a big impact. Nothing too complicated. You know, effective use of white space, drop shadows, kerning, leading, etc. My main question is are authors using applications other than Photoshop and Illustrator? Great idea, the “bad” covers don’t have to be yours! As far as software, I would not assume most DIY self-publishers are using Photoshop or Illustrator. This type of article seems to work better when you talk more about principles and examples rather than the technical background of how they are done. Hi Joel – looking forward to our interview on the Barefoot Broadcast on the 11th April. In the meantime, I’d love to post anything you like on the Bookwright blog. If you like, I will come up with something for you about my transition from bored IT consultant to author to sharing the same platform as Brian Tracy and Mark Victor Hansen if you like. Tom, that sounds like an awesome story and I’m sure readers would be interested in how you did it, as well as lessons learned along the way. Thanks! My Blog Guest is the free platform for guest authors and blog owners. You’d make an awesome member of the family! Thanks for the invitation, Ann, I’ll check it out. Susan, it’s a pleasure to host your content, and I’m sure it won’t be long before we find another opportunity. Thanks. As is usually the case with your advice, you manage to weave a story while providing a detailed list of actionable tips and strategies. I agree with Tony: this post is one of the best resources on guest blogging I’ve encountered. Any chance you’re free next Tuesday, at 4:00 PM EST, (or, the following Tuesday) for a Published & Profitable expert interview on necessary first steps for self-publishing? Your Self-Publisher’s Companion is a book that only you could have put together. Thanks, Roger. Yes, I can certainly be free for an interview, I would be thrilled. I’ll email you to make arrangements. Joel, this is one of the best resources on guest blogging I have read in a long time. I have used the principles you described to build a strong network of experts I really respect. I’m excited that you will be among them by being a guest on my blog next week! Tony, thanks. I’m really looking forward to it also. I would love to do a guest post. I’m relatively new to blogging, but I have plenty of ideas about indie publishing. My first book comes out August 1 and I’ve spent the last year reading and thinking about how to make it work. Sounds great, Tara. Let me know what aspect you’d like to address in a guest post and we’ll go from there. I don’t think you want to post my guest rant about how depressing flat-lined sales can be, so I’ll keep that to myself, but I did want to just mention one thing: you say you work in the HTML window of WordPress, so you prefer plain text, and that those who can add formatting codes should do so. I’d like to point out that those who use offline editors, such as Windows Live Writer, should be able to write their post, then switch to the HTML view and copy the contents from there. I know from experience that this can be simply dropped into WordPress’s HTML window. Should make things a little easier for those who don’t want to learn HTML itself. Levi, thanks for the tip. I should have been more explicit in my post because I really don’t mind getting articles that are well formatted in Word or an equivalent. Being naturally lazy, of course, an HTML post that’s just “drag and drop” has a certain appeal. Hmmm… well, then, why not? I’ll see what I can come up with. Thanks for sharing your HTML tip: my http://www.publishedandprofitable.com website is based on Membergate and requires formatting codes. Your advice can possibly save me a lot of time in the future. Thank you! What a wonderful offer! I know that there are many self-publishing authors who read my blog and are in my Twitter community, so I would love it if you guest posted on my blog. I would also love the opportunity to write a guest post for you, I’m a regular reader and would be so excited to be part of the blog. One topic that springs to mind is my experience of having a self-published short story anthology picked up by a small press – creating a new edition to be published in April. Does that sound of interest? Thanks so much, Emma. I’ll send you an email so we can make arrangements. Your subject sounds great, and I’m sure many readers would be interested in your experience. I’m a big fan of guest posting. I’m in the middle of a month-long virtual blog tour right now actually, to promote both my new indie publishing blog and my primary blog on freelance writing. They’re a nice spin on an old PR tactic (and one that still works quite well — professionals offering free features to trade mags). And while I find they don’t always lead to immediate sales increases when promoting products (depending on your bio and call to action), they’re great for community building. I’ve been thrilled to meet so many new readers this month as a result — people who lurk and now come out to comment, people who read similar blogs but hadn’t discovered by own yet, etc. You’re welcome to stop by AllIndiePublishing.com any time if you’d like. And after surviving this month-long blog tour you can bet I’ll be in touch with some guest post ideas of my own if you’re interested. Jean, thanks. 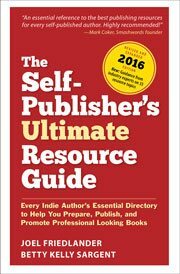 I’ve already checked out the great content on All Indie Publishing and I’m sure it will be helpful to authors. When your schedule frees up do get in touch. I, too, would be pleased to feature a guest post from you on my blog. I would be happy to do a writing-related guest post for you as well, if you would satisfied with giving me a post date after end of June 2011. My schedule up to then is pretty full. I publish guest posts almost every week here, so just let me know a good date for you. I’m installing some new software that allows me to set up an editorial calendar for the blog so putting you in for a future date should be no problem. I would be delighted to have a guest post from you on my blog. Thanks, Lillie, I’ll be in touch by email, and I appreciate your offer.